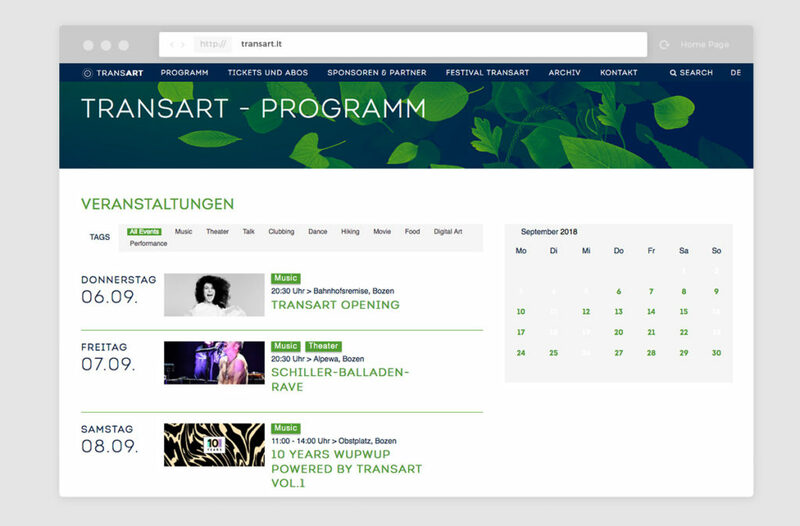 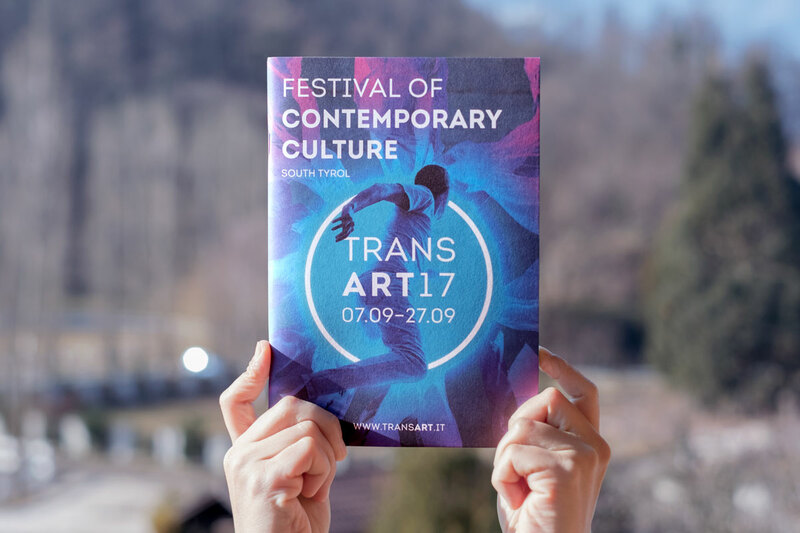 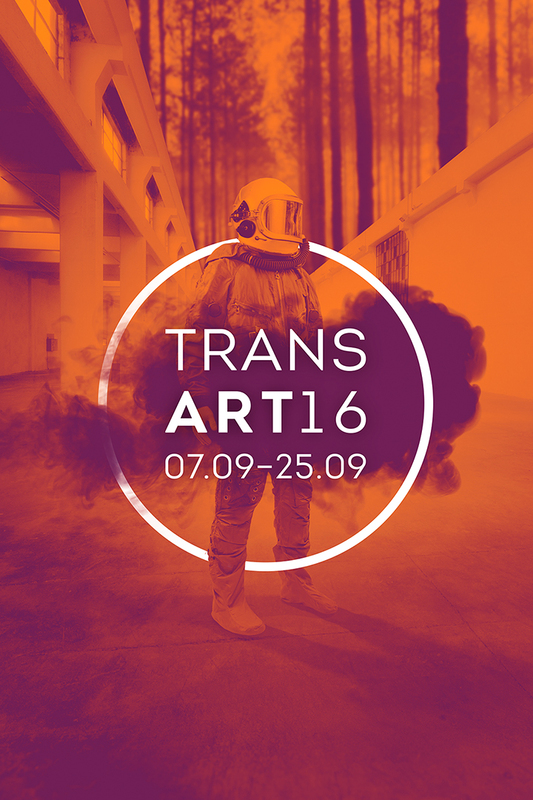 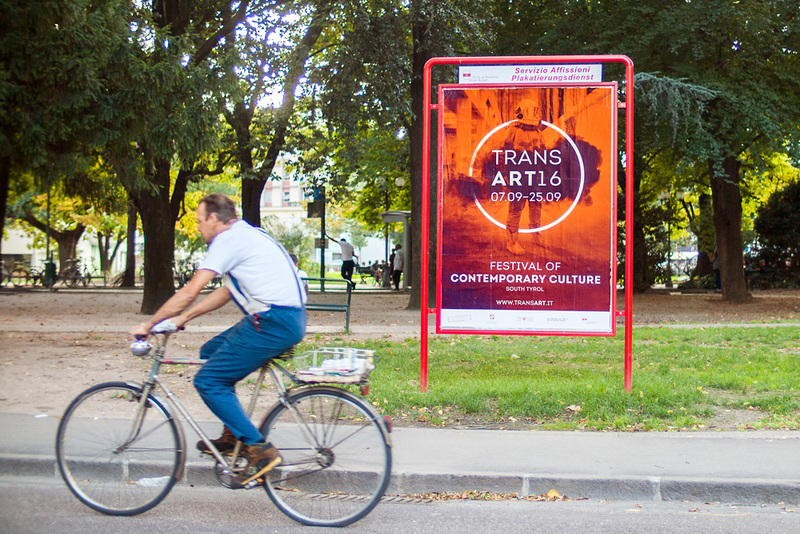 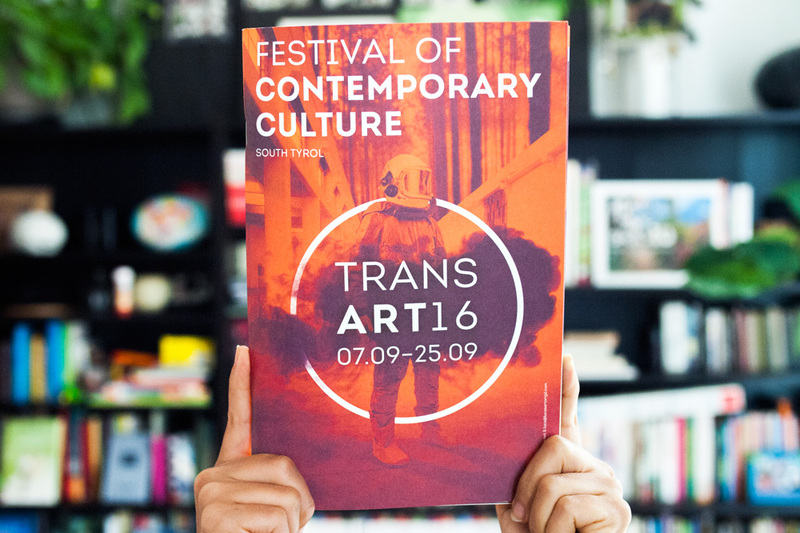 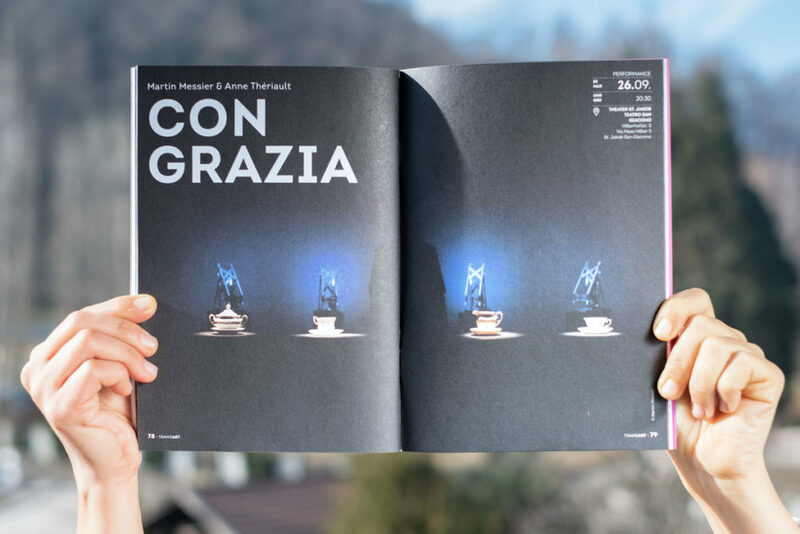 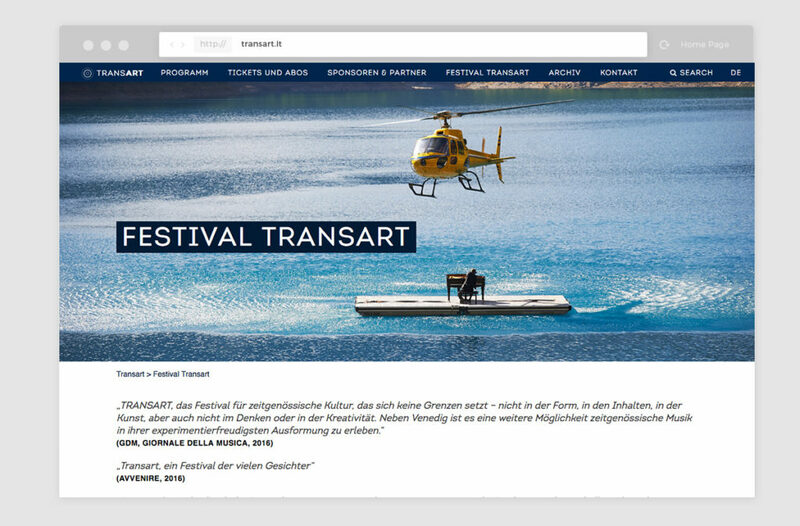 Transart is one of the most important contemporary culture festivals in the Alpine region. 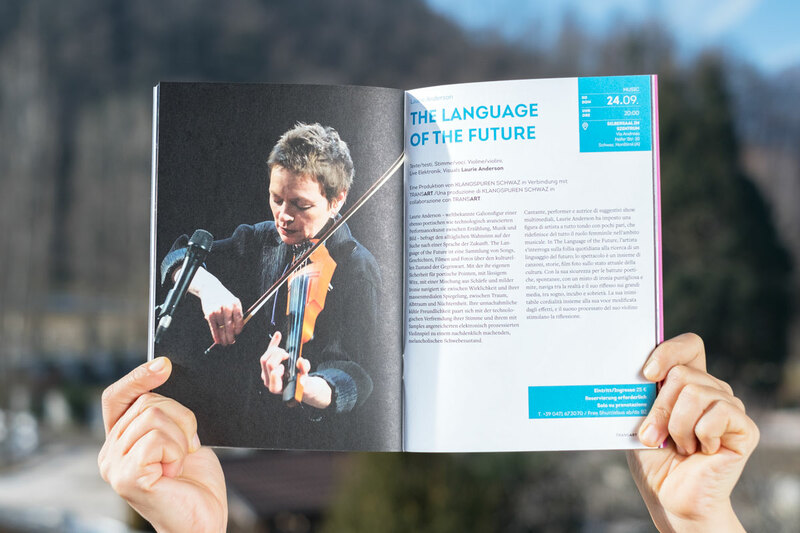 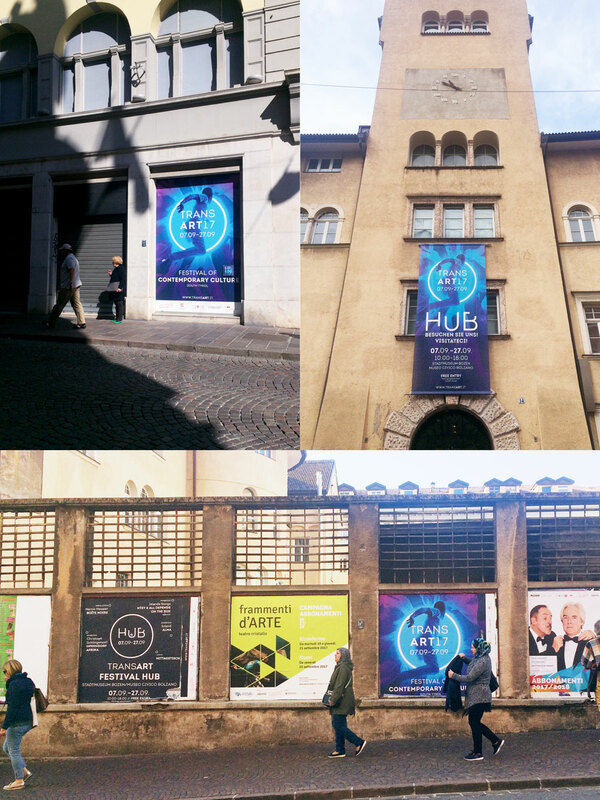 Its programme spans over three weeks and features important names from the worlds of music, theatre, film and performance art. 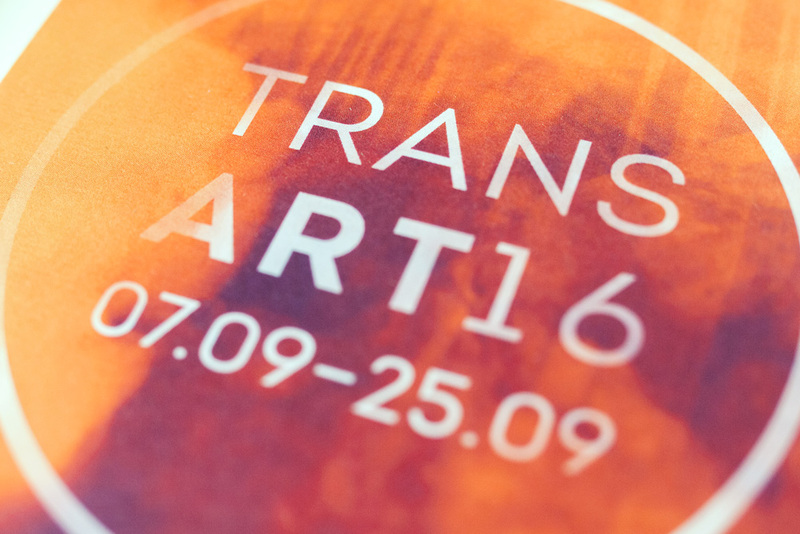 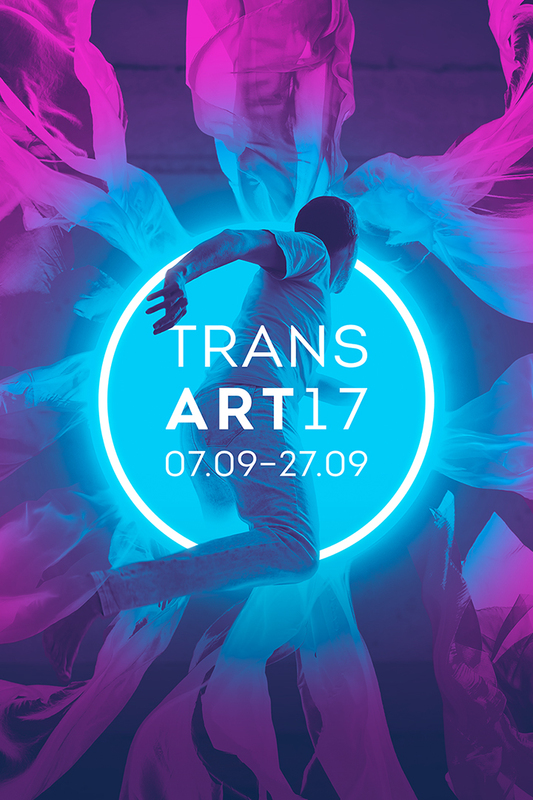 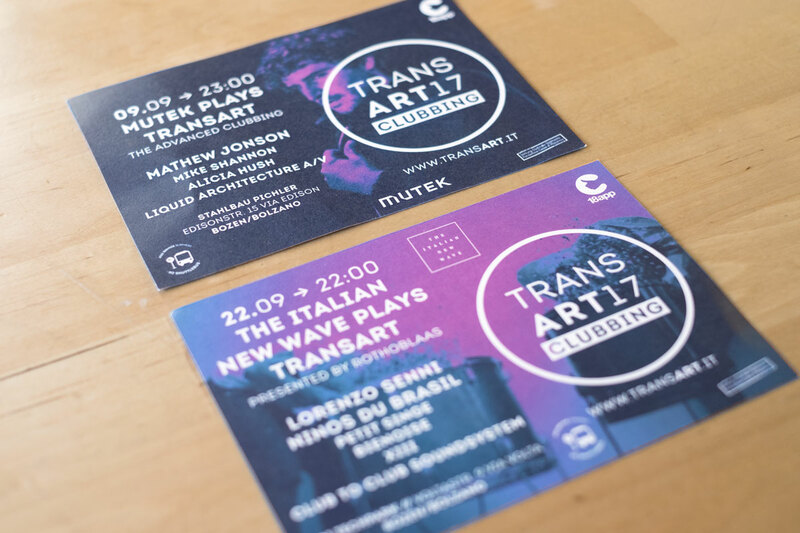 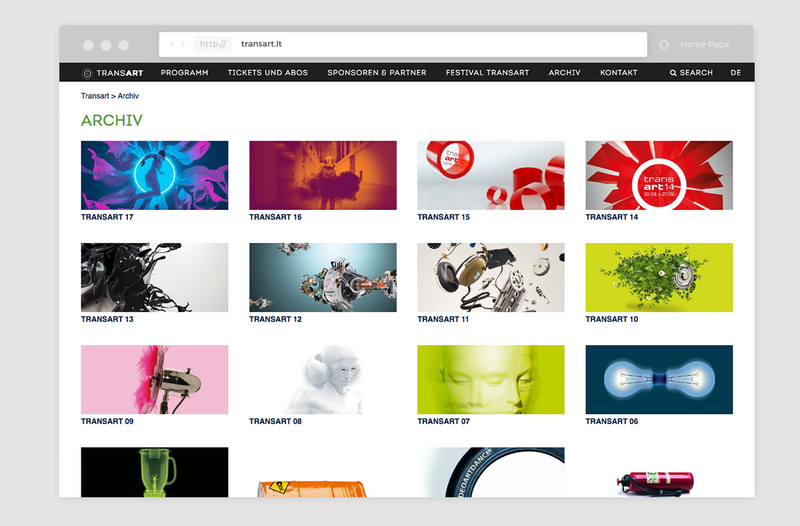 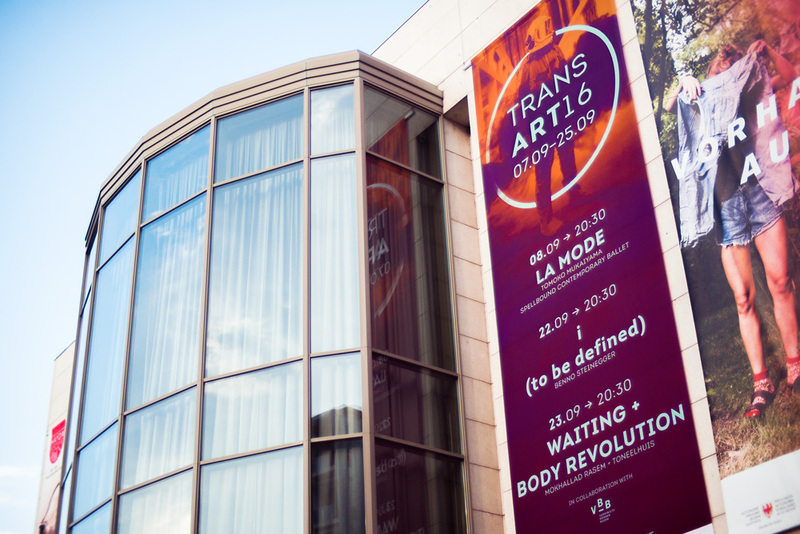 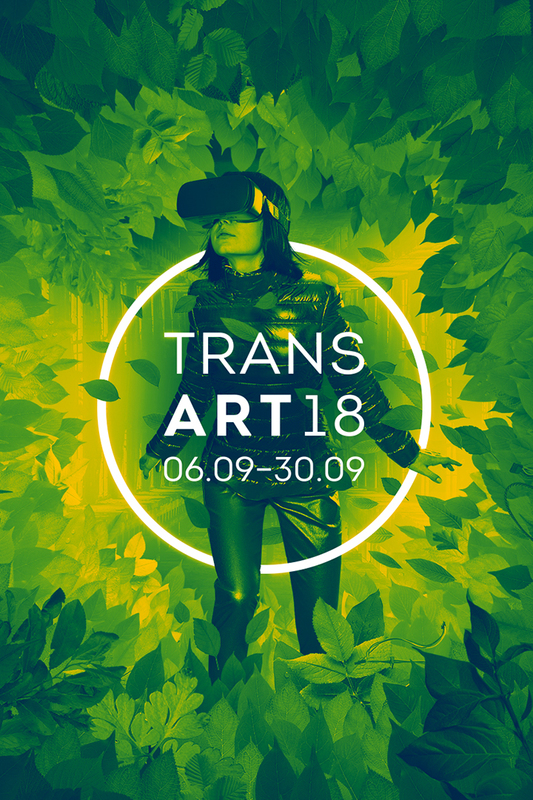 Just to drop some names, some of the artists who were present at Transart in the last years are: Matthew Herbert, Laurie Anderson, Blixa Bargeld / Einstürzende Neubauten, Klangforum Wien, Matthew Barney. 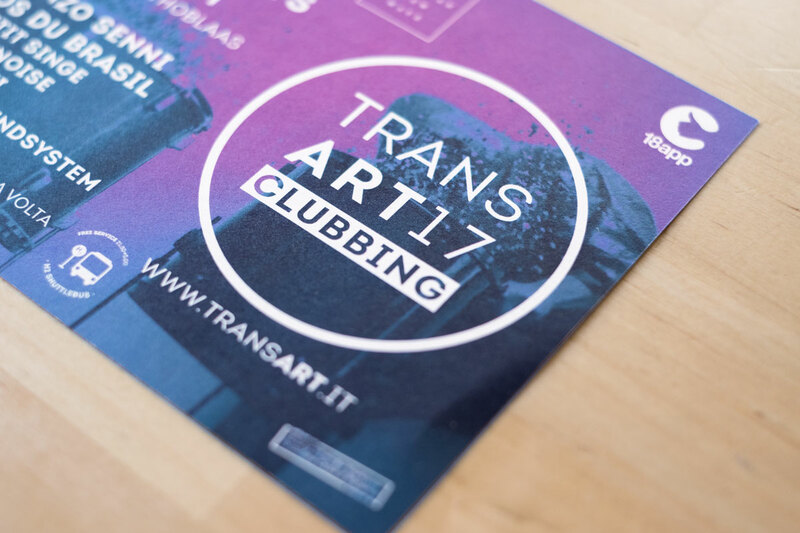 In 2016, together with fellow graphic designer Luca Sartori, we redesigned the logo and visual identity. 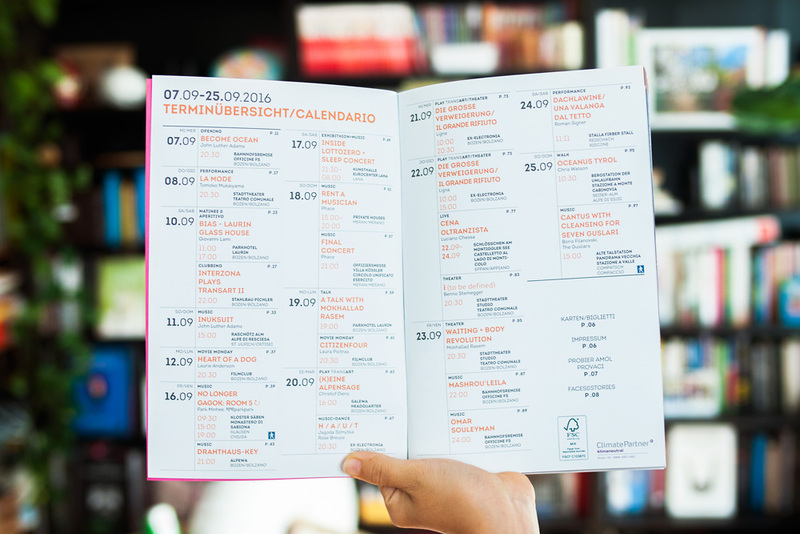 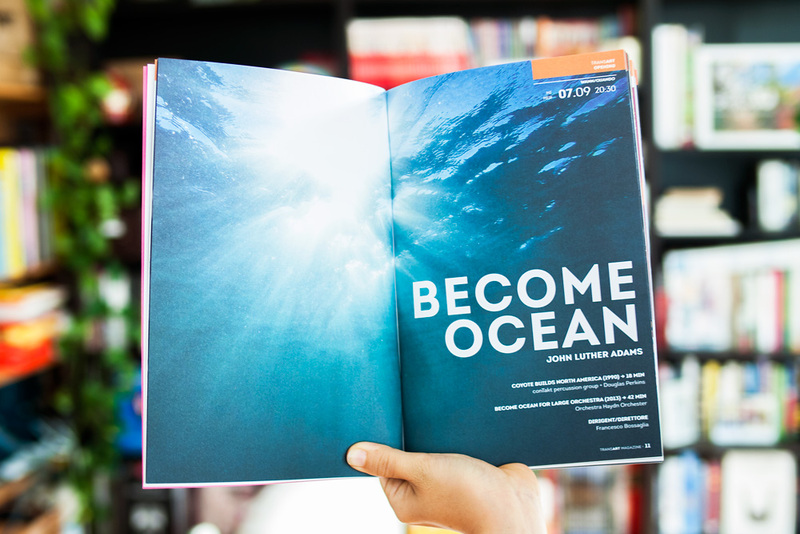 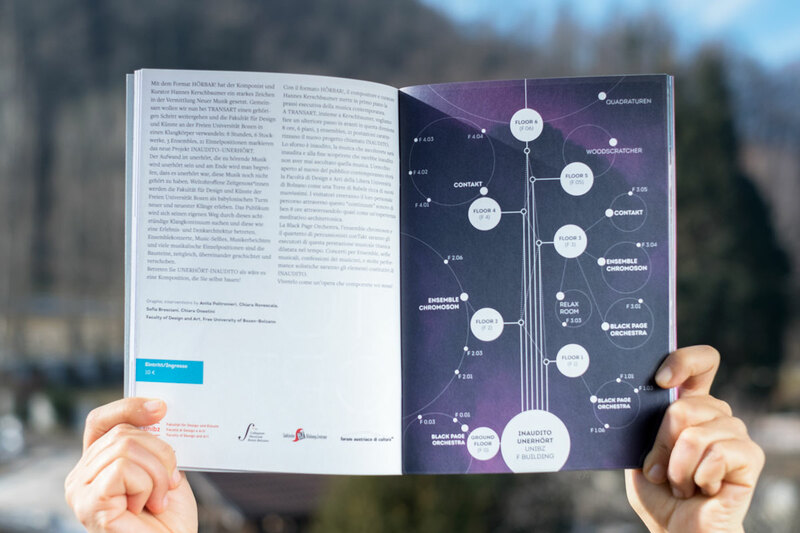 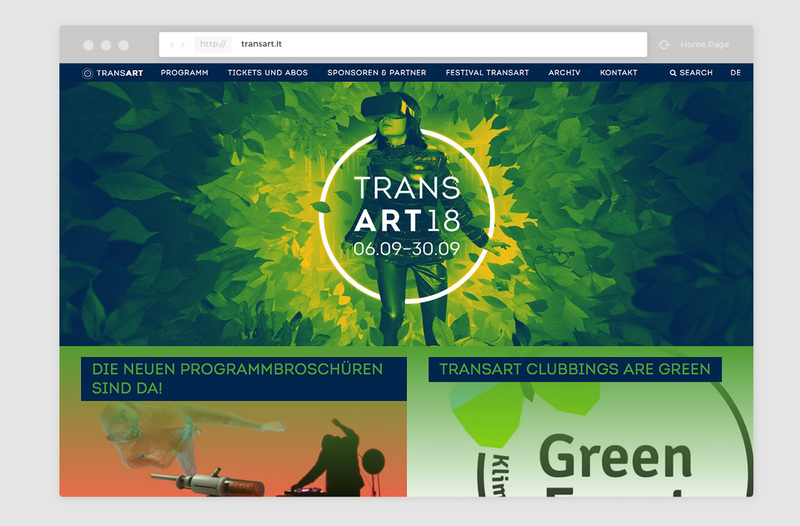 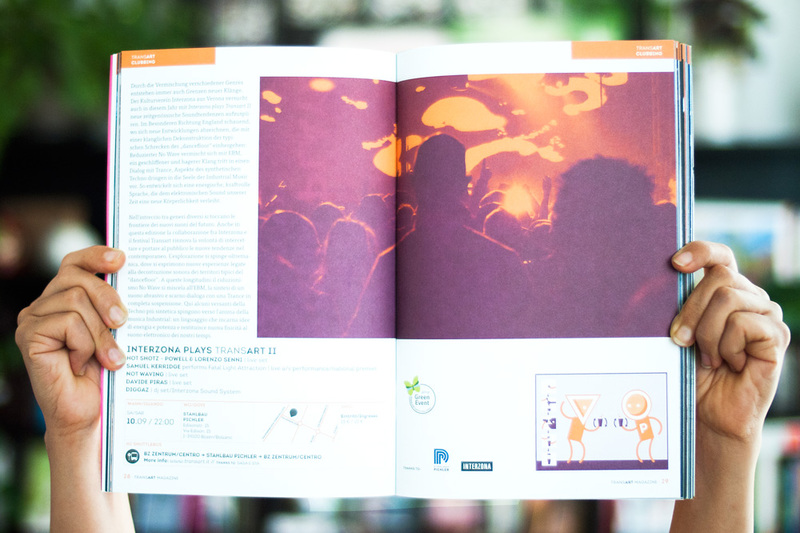 Since then we create the festival’s key visual graphic and produce all materials needed to communicate and promote it, including: posters, stickers, flyers, the website, online ads, the printed festival programme and much more.